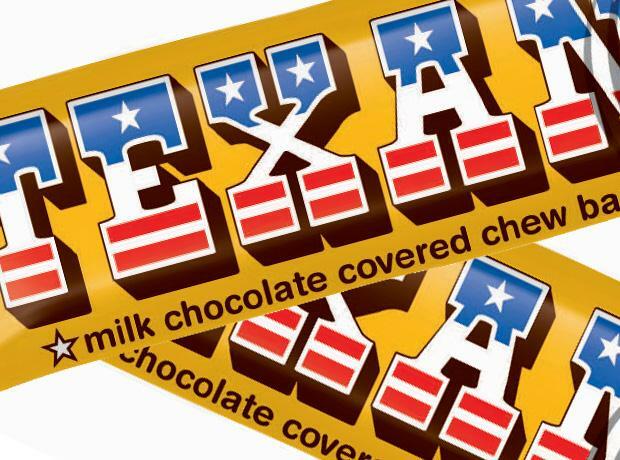 Texan was a nougat/toffee bar covered with chocolate, manufactured during the 1970s and 1980s. It was withdrawn from sale in the 1980s but was briefly re-launched as a limited edition by Nestlé in 2005 during a wave of sweet-related nostalgia. The advertisements for the Texan showed a cartoon cowboy, who was captured and tied to a stake. When asked if he had a last request he was given a Texan bar which took him a long time to eat, meanwhile the bandits fell asleep ensuring his escape. The cowboy’s catchphrase was “A Man’s gotta chew what a Man’s gotta chew”, also “Sure is a mighty chew!”.